Caleb Atwater, one of Ohio's earliest historians and reformers, was born in North Adams, Massachusetts on Christmas day in 1778. He graduated from William's College in 1804 with a Master of Arts degree. Upon completing his education, Atwater established an academy for women in New York, but he soon closed the school to become a Presbyterian minister. While serving as a minister, Atwater married, but his wife passed away early in their marriage. Atwater became quite sick as well and his illness caused him to leave the ministry to pursue a hopefully more lucrative career as an attorney. Atwater spent several years practicing law and engaged in other less profitable business ventures before moving with a new wife to Circleville, Ohio, in 1815. He continued his law practice, but he also spent time studying the earthworks of the Hopewell and Adena Indians. In 1829, Atwater published a summary of his findings in Descriptions of the Antiquities Discovered in the State of Ohio and Other Western States. Atwater believed that a superior race had built the mounds, and concluded that American Indians were not mentally capable of such tremendous architectural feats. His views remained prominent among scholars for several decades. In 1821, the residents of Pickaway County elected Atwater as their representative to the Ohio House of Representatives. He became a strong advocate of internal improvements, opposing attempts to overturn the road tax and supporting the allocation of state funds for the construction of the Ohio canal system. In 1822, Atwater unsuccessfully ran for the United States House of Representatives. He retained his seat in the Ohio legislature and continued to play a large part in the debates on the issues facing Ohioans during the 1820s. Atwater's greatest contribution to Ohio was his strong support for publicly funded education. In 1822, Atwater successfully lobbied the legislature and Governor Allen Trimble to establish a commission to study the feasibility of creating common schools in Ohio to be financed by the state. 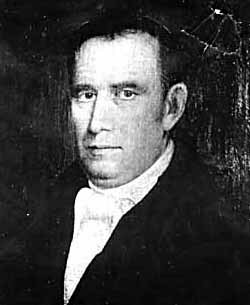 Atwater served as chairman of the commission that also included John Collins, James Hoge, Nathan Guilford, Ephraim Cutler, Josiah Barber, and James Bell. The commission spent the summer and fall of 1822 researching the condition of Ohio's educational system, as well as studying public education in other states. Atwater wrote three pamphlets to educate Ohioans on the need for state-financed education -- one on the condition of school buildings in Ohio, another on the type of public school system Ohio should create, and a third on the value of common schools to Ohio's future. Atwater modeled his plan after New York's public school system. Ohio, said Atwater, should not finance schools through taxation but through the sale of state property. Not all members of the commission favored Atwater's plan. Guilford and Bell advocated a property tax. They felt that the sale of public lands would not provide the funds needed to pay for the schools. A property tax would result in a regular flow of money to guarantee the funding of the schools. The commission made its final report to the Ohio General Assembly in 1823. The legislators, for the most part, opposed public funding for internal improvements and public education. In the General Assembly's session in 1824, public opinion forced the legislature to look once again at the education issue. Nathan Guilford took the lead, proposing a property tax to finance education. The legislature agreed and established common schools in Ohio in 1825. After Ohio's creation of a public school system, Atwater remained a supporter of public education and internal improvements by publishing a newspaper, called the Friend of Freedom. The paper also called for the end of slavery in the southern United States. In 1829, President Andrew Jackson appointed Atwater one of four commissioners to negotiate a treaty with the Winnebago people of Wisconsin. Atwater published one of the earliest histories of Ohio in 1838. In 1841, he published An Essay on Education. He called for coeducational schools, better textbooks, a heavier emphasis on science in the classroom, and well-trained teachers. Caleb Atwater died on March 13, 1867, in Circleville, Ohio. Atwater, Caleb. A History of the State of Ohio, Natural and Civil. Cincinnati, OH: Glezen & Shepard, 1838. Atwater, Caleb. An Essay on Education.Cincinnati, OH: Kendall & Henry, 1841. Winthrop, Charles. "The Life of Caleb Atwater." M.A. thesis, The Ohio State University, 1937.